Visitthe exciting, fully-stocked gift shop! Gorgeousitems for women! For home! For children! 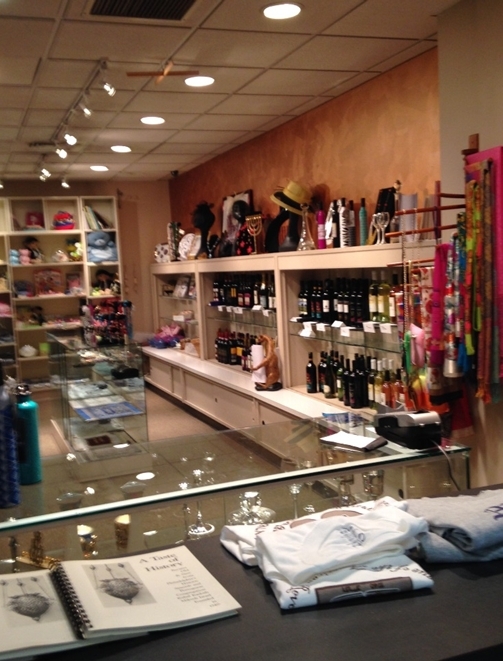 Mikveh Israel has added a new and exciting dimension to its building; the newly, revamped gift shop. In this spacious and now well lit area, customers will find a wide range of Judaica, Ketubot,gifts for the home, jewelry, bags, scarves, hats, fascinators, toys, original artwork, Kosher wines, that appeal to all tastes, ages, and pocketbooks. Each and every item is very reasonably priced. New merchandise arrives weekly and is displayed in a manner that bathes the eye. The store is quickly becoming the only "go-to" shop in Center City. If there is something you would like to buy but do not see displayed, please ask and we will do our best to get it for you. So do yourself a favor and come in and see for yourself what treasures can be found. Hours are 10:00 a.m. to 4:00 p.m. Monday through Thursday, Friday, 10:00 a.m. to 1:00 p.m and when the many of our events are held on Sunday, the shop is also open. Please refer to the Synagogue's calendar on this website for the Sunday event schedule. We are closed on Shabbat.